COCOA, Florida - The owner of a convenience store may face a criminal charge after he fired a gun when a Florida man attempted to steal beer on Wednesday in Cocoa, Florida. 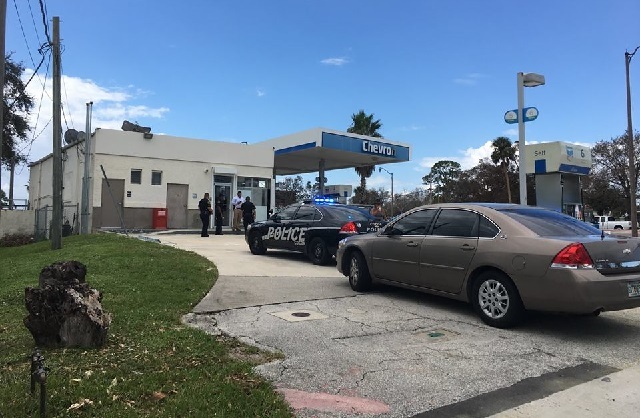 Around 10 a.m. on September 20, 2017, a Brevard County Sheriff’s Deputy was in the area of a Chevron convenience store located at 6 South Cocoa Boulevard when he heard a shot fired from outside the store. Further investigation revealed the owner of the store was inside when a white male entered and appeared to take some beer out the door without paying. The owner then confronted the man in the store's north parking lot. At gunpoint, the store owner demanded the Florida man return the beer. The man complied. Police say that, at some point during the confrontation, the store owner fired a shot. The store owner later declined to press charges against the suspected thief. Cocoa Police detectives are compiling a case summary and will forward the information to the State Attorney’s Office for further review and determination of any criminal charges that may be applicable.